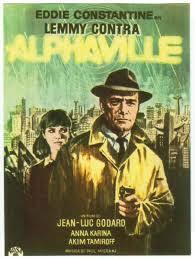 In a distant, dystopian future a place like Alphaville exists. Jean-Luc Godard creates a world of technological synchronicity with such much foresight and innovation that it relevantly still holds up today among films like Minority Report, I-Robot, and Her. Lemmy Caution (Eddie Constantine) is a secret agent sent to Alphaville under a series of directives: retrieve a missing agent and “liquidate” the creator of Alpha-60, a sentient being that controls and dictates the lives of citizens in Alphaville. Ran by a team of engineers, Alpha-60 has advanced into brilliance above human intelligence and through its meticulous calculations plans to “save” humanity by assimilating humans into a world of logical and practicality. Strict rules in Alphaville ban poetry, love and all signs of emotions making the citizens virtually robots. When Lemmy meets and falls in love Natacha von Braun (Anna Karina), it becomes his human right and cinematic duty to save her and the residents of Alphaville by destroying Alpha-60. Despite the boom of technology in the 1950s and 60s Godard denies viewers a conventional science fiction view of the future. There are no odd futuristic devices, no special effects, nor out of this world wardrobe designs like films based in the future consistently do. In fact, Lemmy, a man haggard by age and stuck in his ways of nostalgia and simplicity, clings on to an Instamatic camera snapping photos randomly at will. 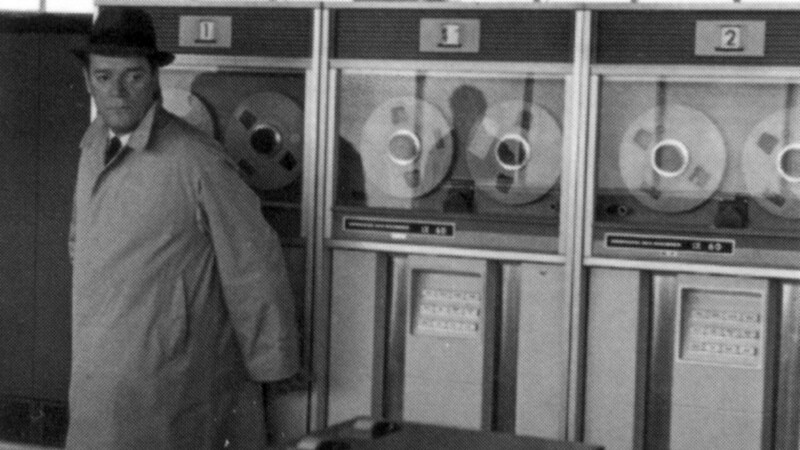 A new creation at the time of the filming in 1965, residents of the futuristic Alphaville question why he uses an archaic device. Outside of this object there are few icons that indicate a “distant future” of sorts, however, their are plenty reminders of the time period in which the film was conceptualized. Therefore, Alphaville’s focus becomes one on the bonding between humans and artificial intelligence, and how that affects communication as well as the transport of ideas. Alpha-60 reigns over Alphaville with a guttural, mechanically frightening voice that dictates to its citizens the details of their assumed existence and futures. Through heavy narration directed at both characters and spectators of the film, Alpha-60 elaborates its view of the human condition telling listeners that before humans there was nothing and afterwards nothing will remain. We are alone in the infinite depth of space and that the acts of men from the past will only destroy mankind in the future, and it, Alpha-60, is the logical means for that destruction. The city of Alphaville exists under constant surveillance watch. Citizens aren’t allowed to cry or show tenderness. The result for such crimes is execution. During a scene of an execution, it is revealed that a man condemned to death’s crime was that he behaved illogically when he wept at the death of his wife. Similarly, any word that can used to understand the natural human experience is banned. Words like “consciousness,” “love,” and “why” are all extracted from conversation and memory. In Alphaville when a word is banned it becomes immediately replaced by another. Homes are then swiftly raided as dictionaries, thought to be the Bible to Alphaville citizens, are replaced with more up-to-date versions. The embrace of technology by those in Alphaville results in its citizens being assimilated into a general, unanimous way of thinking and distorts memory making them forget large portions of their individual identities. Interestingly enough women play a pivotal role within Alphaville’s city limits. Most all are virtually clones under Alphaville’s system and the ones we focus on hold jobs as prostitutes of different classes. Branded by numbered code, these women speak in ways they are trained to by Alpha-60. Yet, they still possess enough of a free will to look out for themselves with one prostitute pickpocketing money from a client’s jacket when she enters his room. Not all women of the city are prostitutes. We see some are engineers part of the creation and maintenance of Alpha-60. It gets revealed to Lenny that execution ratios are about 50:1 in favor of women indicating that the gender has a better grasp of concealing their emotions and playing the role needed to be played in order to survive the city– a very telling statement of women especially in the time frame of this film. Encompassing moments of extravagant, stylized lighting and intercuts of the mathematical equation E=mc2 and E=hf, Godard makes Alphaville one of the most unique sci-fi thrillers in existence. American actor, Eddie Constantine, perfectly embodies the rogue detective able to handle any obstacle thrown his way, while Karina explores an emotionless character giving her deep compassion and a soul. 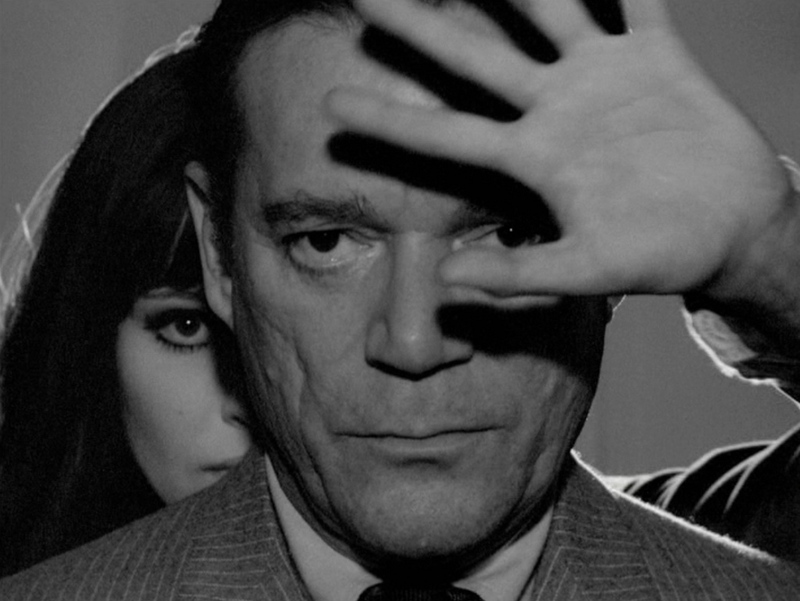 The tale of Alphaville is a profound film, one entrenched in philosophy that makes us question like what begets consciousness? and in some unforeseen future can our free will be extrapolated? 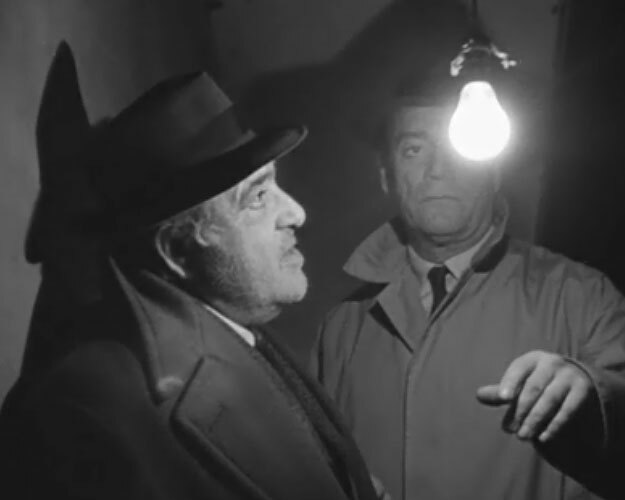 Brilliantly enough Godard uses a film like Alphaville to express his concerns for civil liberties in humans with the advent of modern technology. Like computers today, the spread of messages is instantaneous and humans are by nature complacent in the eyes of authority. Alphaville prompts an intriguing thought of how the wrong messages in mass deliverance could affect the state of humanity and our consciousness.